Can farmers outperform their neighbors? Can farms really outperform their neighbors? According to a study from the University of Illinois, the answers is yes. To view the study, click here: http://farmdocdaily.illinois.edu/2017/05/how-hard-is-it-to-be-above-average-in-farming.html. They studied whether or not a farmer can truly outperform their peers assuming similar variables (location, soil type, off-farm income level, etc). Returns obviously vary from year-to-year but certain farms have shown an ability to consistently outperform their peers. See below for a summary of the study. Even I was surprised that the gap was that high. $20-30/acre…..wow! What can you do to increase your farm’s likelihood of outperformance? While I could talk about this forever, here’s a list of a few things which I feel give farmers a financial advantage. Many of these aren’t new and they aren’t rocket science. Producing above average cost-adjusted yields in your area. 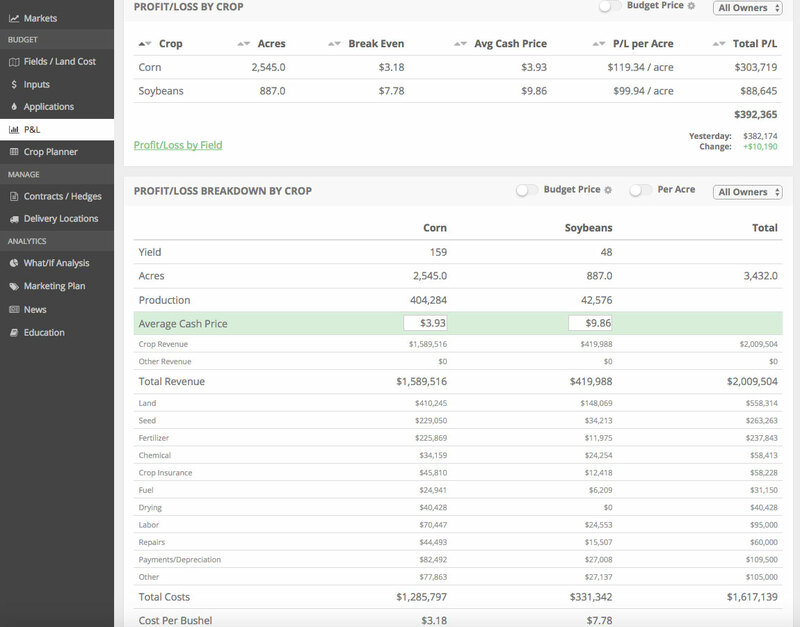 You need to constantly and proactively seek ways to increase ROI in your agronomic decisions. Common sense, I know, but still very important. The ability to say no. Saying no to impulse (or tax-motivated) equipment purchases, snake oil salesman, and high land cost decisions (rent & purchase) are just a few of many the ways that doing nothing oftentimes gives your farm a profitability advantage. Being OK with the market moving higher after a sale or hedge. Rallies can punish those that are proactive. Remember that past decisions are sunk costs that can’t be changed. Do what’s best for your farm today! Understand biases. Everyone you work with has a bias. Your agronomist wants you to maximize yield. Your local grain merchandiser would love to have your grain. Your banker would love to have you generate the bank more interest with the same or less risk. We would like you to use our software. Most of the time this group of people is looking out for your best interest, but not always! You are the boss so look out for your business’ interests first. Have a thirst for knowledge. You never know when/where you’re going to learn something that will allow you to add dollars to the bottom line. Speaking of this, we’re going to open our Business of Farming online course again soon. Keep your eye open for it. Understand that farming is loaded with uncertainty, from both a market and weather standpoint. Accept that as fact and try to be comfortable making proactive decisions even though you can’t know for certain how each of those factors will impact your decision. They key with all of these is being comfortable with an active (proactive) vs. a passive (reactive) decision-making process. Your past decisions are crystal clear with the benefit of hindsight. When your proactive decision turns out to not be “correct”, don’t beat your self up over it. Put the proabilities on your side and don’t judge your decision solely with the benefit of hindsight. Click here to view a blog post we wrote on how statistics should drive your farm management decisions. All-in-all, an investment (time or money) in your farm’s management can pay big dividends over time. If you enjoyed this post, look below for a handful of additional posts we’ve written over the last couple years.